Isn't it great to get out in the garden again now the sun is shining! Trouble is, you then tend to notice that your shed could do with a new coat of paint, or your fence needs a treatment to protect it from the weather. Those little garden jobs never go away do they! 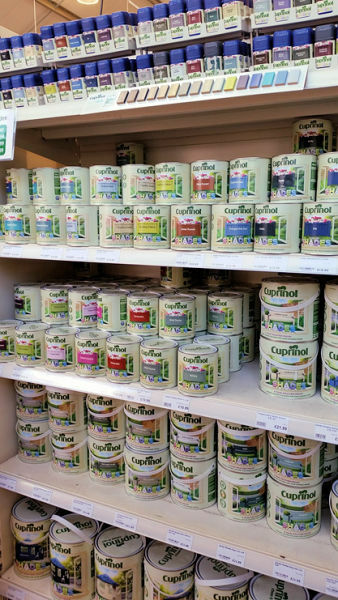 At least with the Cuprinol range at Longacres, you can brighten up your wooden garden furniture, and at the same time give it a coat of protection (that sounds like something a modern super-hero would have). If you're a little fed up with your shed, fence, flower pots and bird box all being a different shade of brown (not that we have anything against brown you understand), you might like to try some Cuprinol Garden Shades. In a range of amazing colours, the texture of the wood can still seen whilst offering the protection you would expect from Cuprinol products. If you're not quite sure what colour is right for you, there are tester sizes available so you can try a few and see what suits your style. Cuprinol Less Mess Fence Care is quick drying (around an hour) and gives great coverage using just the one coat. The 6L can covers 30m2 or around 10 fence panels and is great value at £7.99. 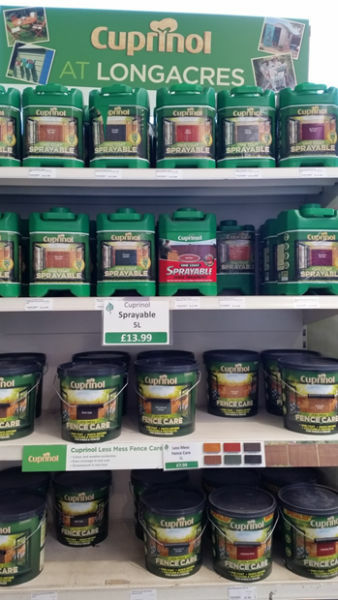 If you prefer to spray your fences, try Cuprinol Spray and Brush 2 in 1 Pump Sprayer for £37.99. The unit fits any Cuprinol sprayable products, as well as the Garden Shades range. Cuprinol Ducksback offers protection for sheds and fences for up to 5 years, is easy applied and shower proof in just 1 hour. 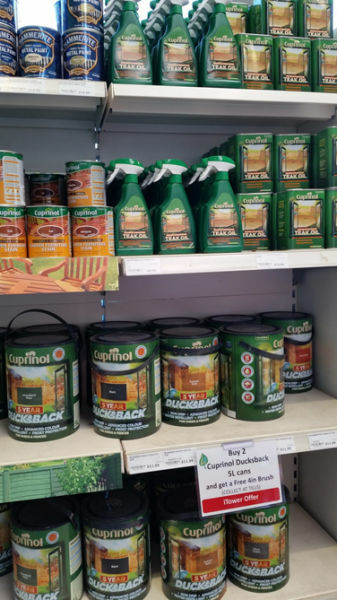 We currently have an offer of 'Buy 2 Cuprinol Ducksback 5L cans and get a free 4" brush'. Remember to give your garden table and chairs a new lease of life with Cuprinol Naturally Enhancing Team Oil once you've taken the covers off (full range of garden furniture covers here). If you're changing the colour of your fence or shed, or letting your imagination run wild with multi-coloured wooden flower pots, you might like to post a picture of your newly coloured items on our Facebook page!